I am very excited to announce my first ever solo exhibition in the United States. 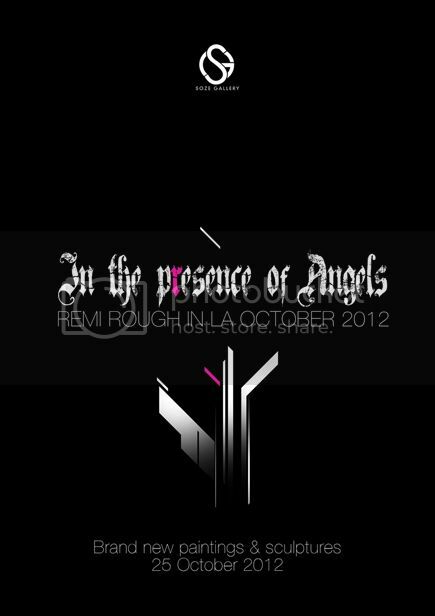 In the Presence of Angels opens at the wonderful Soze Gallery in Downtown Los Angeles this coming October 25th. I have brand new paintings and some large scale sculptures going into this show. Some new directions I’ve been exploring recently will be on show with some large scale sculptures. I will also be doing some walls with some very interesting artists.